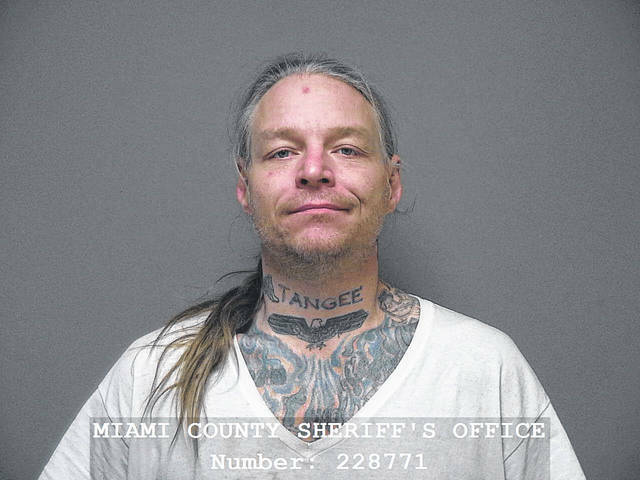 MIAMI COUNTY — The man who stole a car with a child inside it from a Troy gas station last December plead guilty to amended felony charges in Miami County Common Pleas Court on Tuesday. James Hatmaker, 42, of Dayton, waived his right to a grand jury and entered a plea of guilty to third degree felony attempted kidnapping and fourth degree grand theft auto. He previously was charged with second degree felony kidnapping. Hatmaker could spend up to 54 months in prison and face a fine of up to $15,000. He’ll also serve up to three years mandatory post-release control due to the kidnapping charge. Judge Jeannine Pratt also informed Hatmaker he’ll have to register as a violent offender due to the new Ohio law effective March 20. The Violent Offender Database only impacts felons of violent crimes and those who have been convicted after March 20. The registry is not public and can be accessed by law enforcement officials. Hatmaker must register his address with the sheriff’s office for 10 years. Hatmaker can file a motion to rebut the registry prior to his May 13 sentencing date. Hatmaker stole a car from Big Mike’s BP on Archer Drive on Dec. 5, 2018, moments before the 2-year-old child’s mother walked outside and discovered her car and her baby were gone. The 38-year-old mother of the child said she went into the gas station to buy cigarettes, but left her car running with her child inside. When she returned to the parking lot, her black Nissan vehicle was gone. “I ran in there for two seconds,” the mother stated to the 9-1-1 dispatcher. Shortly after the theft, a Tipp City man called 911 and reported his wife’s car had been stolen and the car with the baby inside was in his driveway. “My wife went out to start her car, there’s a car in my driveway with a baby in it, and her car’s gone,” he said in a 911 call. Hatmaker was arrested Dec. 7 in Montgomery County and charged with theft and kidnapping.